We understand it may be a trying time if a friend or loved one has been arrested and jailed at the Orange County Central Jail Complex. It’s only natural to have several questions. That’s where a professional, experienced bail bondsman can help. Greg's dad started Rynerson Bail Bonds directly across the street from the Orange County Jail in 1971. We've been helping OC families ever since. We can help you understand the important details of the bail bond process. For further convenience, the paperwork can be handled confidentially, and most importantly, quickly over the phone in a few short minutes. We offer bail bonds by fax or e-mail from the comfort of your home, or we can meet with you directly at the Orange County jail Complex. We’ll work within your needs. We’re happy to help. Call us locally at 949-733-2245. 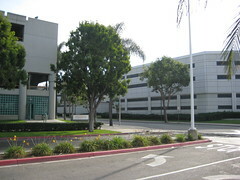 The Orange County Jail is known by several titles including "OCJ", "the Central Jail Complex (CJX)" and the simply Orange County Jail. It is operated by the Orange County Sheriff's Department and is the O.C. 's main jail. Many of the cities in Orange County use OCJ as a back-up jail or as their main jail. Inmates at the Orange County jail are primarily "pre-trial" defendants, which means they are likely eligible for bail. Being the largest jail in Orange County, the Central Jail Complex tends to be a slow-moving facility. Often the booking process takes 6 to 12 hours. Similarly, the relase process can take as long. OCJ is somewhat unique in Southern California in that if a bondsman brings a bail bond to the jail, the Sheriff's staff will accept the bond even if the individual is not fully processed into the system. In fact, due to the need for bed space, defendants presenting bail may be processed more quickly. When has been arrested in Orange County, they will most likely be transported to the Intake Release Center or (IRC). 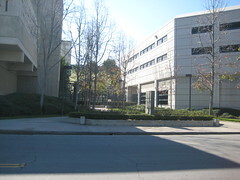 This is one of three facilities (IRC, the Orange County Men's Jail, and the Orange County Women's Jail) located at the Central Jail Complex (CJX) in Santa Ana. As the name indicates, the IRC is deemed the entry point for all new arrestees who are brought into and processed out of the Orange County Jail system. Since the Orange County Women's Jail was closed, IRC is also used as the main Women's jail in Orange County. The IRC lobby is pictured here. 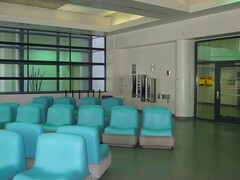 It is notoriously dirty and individuals may be pan-handling or simply waiting in the lobby. When arrested, inmates may be screened for medical or mental health needs. They will then be booked and given appropriate housing. The amount of time it takes for booking and processing will vary because each Orange County jail has its own guidelines and procedures. 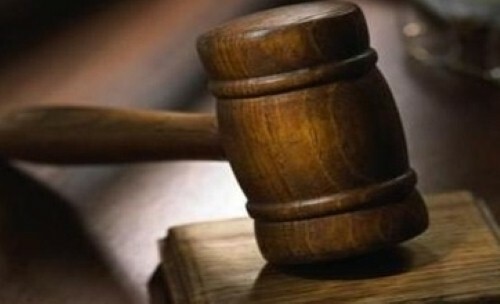 It's important to begin the bail bond process as soon as possible. Once a person is booked into an Orange County facility, it can often take up to 24 hours to be released on a bail bond. When visiting an inmate at OCJ, it is best to adhere to all facility rules and regulations. The jail is located not far from the 5 Freeway, on Flower Street. There is public parking directly across the street from the Orange County Jail. This is a pay to park structure. If you go to the OCJ, you may find that you are approached by individuals offering bail bond services inside the parking in this structure. This is an illegal activity. If you are bailing someone out of jail, beware of people who operate outside of the law. For more information see bail bond scams. When we meet clients at this jail, we advise them to wait in their car and contact by cell phone simply because the area is dirty with many unsavory individuals. To view additional photos of the Santa Ana Jail & Police Department visit our Orange County Bail Bonds Photos on Flickr. For complete information call Greg Rynerson Bail Bonds locally at 949-733-2245 to speak directly to an expert Orange County bail bondsman. We are available toll-free, nationwide at 888-224-5266.